The art of love is never a science. : Meet Don Tillman, a brilliant yet socially inept professor of genetics, who’s decided it’s time he found a wife. In the orderly, evidence-based manner with which Don approaches all things, he designs The Wife Project to find his perfect partner: a 16-page, scientifically valid survey to filter out the drinkers, the smokers, the late arrivers. Yet, Rosie Jarman possesses all these qualities and. Don easily disqualifies her as a suitable candidate (even if she is "quite intelligent for a barmaid"). Hope Anderson is at a crossroads. After six years with her boyfriend, she is no longer sure what she wants, and when her father becomes ill she heads to her family's cottage at Sunset Beach in North Carolina to make some difficult decisions. Tru Walls has been summoned across an ocean from where he was born and raised in Zimbabwe by a letter from a man claiming to be his father. In journeying to Sunset Beach, Tru hopes to unravel the mystery surrounding his mother's life, but the letter will lead him in an unexpected direction. 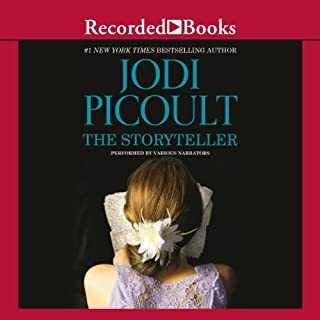 A woman is caught in a gripping moral dilemma that resonates far beyond her place in time and history in number one New York Times best seller Jodi Picoult's latest. 'I don't want that nurse touching my baby.' Those are the instructions from the newborn child's parents. However, when the baby goes into cardiac arrest, Ruth, a nurse of 20 years' experience, sees no option but to assist. But the baby dies. And Ruth is charged with negligent homicide. Andrea Oliver's mother, Laura, is the perfect small-town mum. Laura lives a quiet but happy life in sleepy beachside Belle Isle. She"s a pillar of the community: a speech therapist, business owner, and everybody's friend. And she's never kept a secret from anyone. Or so Andrea thinks. 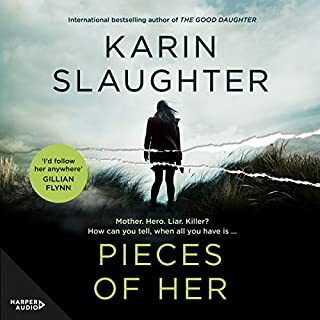 When Andrea is caught in a random violent attack at a shopping mall, Laura intervenes and acts in a way that is unrecognizable to her daughter. It"s like Laura is a completely different person - and that's because she was. Thirty years ago. Before Andrea. Before Belle Isle. Delia Hopkins has led a charmed life. 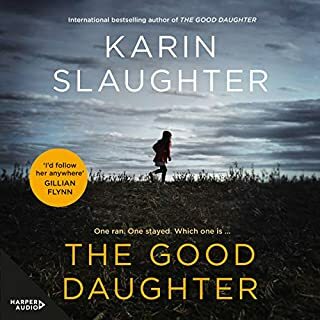 Raised in rural New Hampshire by her widowed father, Andrew, she now has a young daughter, a handsome fiancé, and her own search-and-rescue bloodhound, which she uses to find missing persons. But as Delia plans her wedding, she is plagued by flashbacks of a life she can't recall. And then a policeman knocks on her door, revealing a secret that changes the world as she knows it. The discovery of a dead infant in an Amish barn shakes Lancaster County to its core. But the police investigation leads to a more shocking disclosure: Circumstantial evidence suggests that 18-year-old Katie Fisher, an unmarried Amish woman believed to be the newborn's mother, took the child's life. 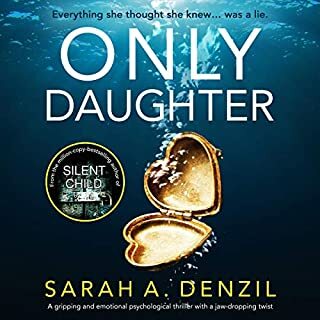 When Ellie Hathaway, a disillusioned big-city attorney, comes to Paradise, Pennsylvania, to defend Katie, two cultures collide - and for the first time in her high-profile career, Ellie faces a system of justice very different from her own. 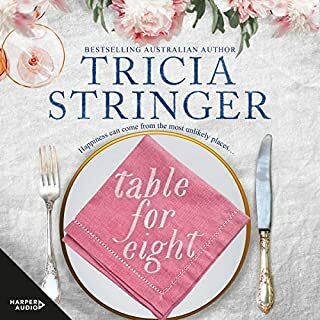 Clever, charming dressmaker Ketty Clift is embarking on her final cruise from Sydney before she must make serious changes in her life. Her mission is to transform the lives of those who join her at her dining table every evening. But this trip is different. 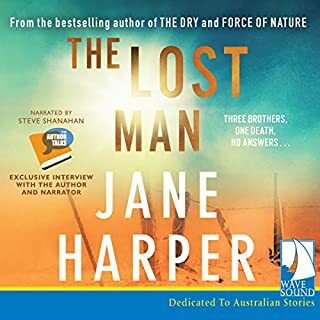 As the glamour and indulgence of the cruise takes hold, and the ship sails further away from Sydney towards the Pacific Islands, it becomes clear her fellow travellers - a troubled family, a grieving widower and an angry divorcee determined to wreak revenge on her ex - are going to be harder work than usual. Sterling is an ordinary New Hampshire town where nothing ever happens - until the day its complacency is shattered by an act of violence. Josie Cormier, the teenage daughter of the judge sitting on the case, should be the state's best witness, but she can't remember what happened before her very own eyes - or can she? As the trial progresses, fault lines between the high school and the adult community begin to show - destroying the closest of friendships and families. A handsome stranger comes to the sleepy New England town of Salem Falls in hopes of burying his past: Once a teacher at a girls' prep school, Jack St. Bride was destroyed when a student's crush sparked a powder keg of accusation. Now, washing dishes for Addie Peabody at the Do-or-Diner, he slips quietly into his new routine, and Addie finds this unassuming man fitting easily inside her heart. 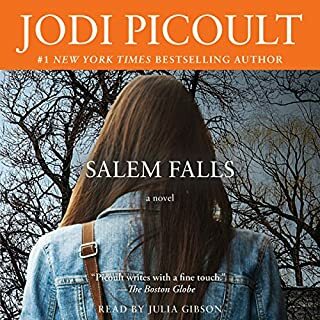 But amid the rustic calm of Salem Falls, a quartet of teenage girls harbor dark secrets - and they maliciously target Jack with a shattering allegation. 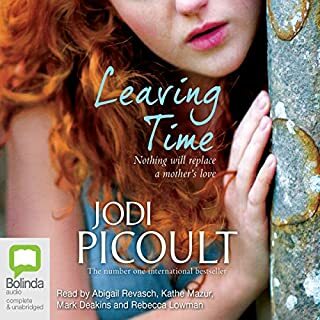 Jodi Picoult's poignant number one New York Times best-selling novels about family and love tackle hot-button issues head on. In The Storyteller, Sage Singer befriends Josef Weber, a beloved Little League coach and retired teacher. But then Josef asks Sage for a favor she never could have imagined - to kill him. After Josef reveals the heinous act he committed, Sage feels he may deserve that fate. But would his death be murder or justice? When his cousin Jamie arrives at the police station with the body of his wife and the bald confession that he's killed her, Cam immediately places him under arrest. The situation isn't as clear to Cam's wife, Allie. 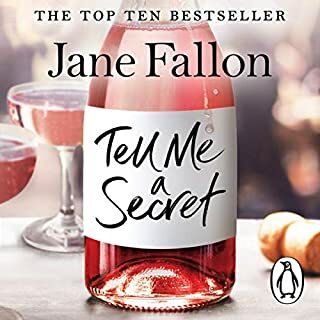 While she is devoted to her husband, she finds herself siding against Cam, seduced by the picture James paints of a man so in love with a woman that he'd grant all her wishes. Even the one that meant taking her life. The masterful new novel from the number one best-selling author of Small Great Things. The Center for women's reproductive health offers a last chance at hope - but nobody ends up there by choice. Its very existence is controversial, and to the demonstrators who barricade the building every day, the service it offers is no different from legalised murder. Now life and death decisions are being made horrifyingly real: a lone protester with a gun has taken the staff, patients and visitors hostage. Starting at the tensest moment in the negotiations for their release, A Spark of Light unravels backwards, revealing hour by urgent hour what brought each of these people - the gunman, the negotiator, the doctors, nurses and women who have come to them for treatment - to this point. And certainties unwind as truths and secrets are peeled away, revealing the complexity of balancing the right to life with the right to choose. The story was start stop, and I'm still confused with how quickly it ended. 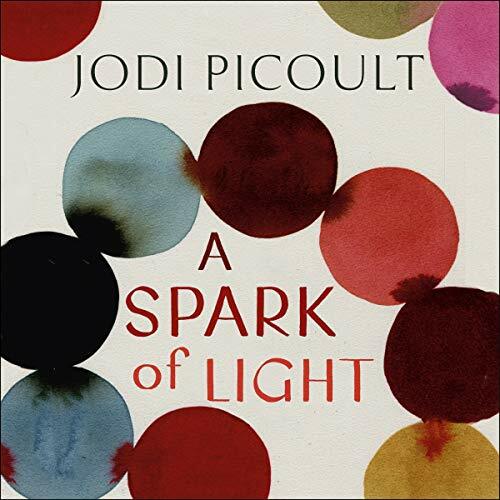 Jodi Picoult has written some amazing novels. This would not be one of them. The subject matter is important and the author handled it well. But I found the storyline slow to evolve and I got bored. This book just isnt for me. Excellsng book. Well written with great character depth. Empathetic points of view from all angles about a controversial subject that affects us all. No judgements, just stories and more questions. You are left to make your own decisions on where you stand. I have listened to 100’s of Audiobooks and this one simple doesn’t work. The story is fine but it has Avery very confusing timeline that is hard to follow. Best get a hard copy! I really struggled to finish this book. I found it very repetitive. it would not put me off purchasing another book by this author though. I had to read this for book club. It’s nicely written however I personally don’t enjoy these kind of books as I find them boring. This one has some confronting issues that are tackled in a creative way, however I just didn’t like the style it was written. I felt that there was still to many questions at the end. To many questions about pivotal characters... What happened to Elizabeth, Izzy and Joy? Did the clinic reopen? The story will make you angry, sad and amazed at times. There was some parts that lingered just a little too much. 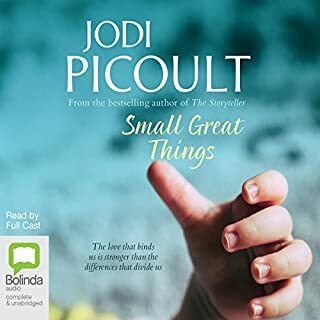 Not one of my favourites from Jodi Picoult. A different style and I am not a fan. I dont like short stories and this is basically a collection of short stories about the same topic. The usual gritty storyline that you can get your teeth into just wasnt there I'm afraid. Not one of her better books. I have previously loved all Picolt's novels, but I felt the backwards timeline didn't work. Already knowing the outcome for some characters made several 'twists' very predictable. Loved the book. It highlights the thoughts processes behind each side of the story brilliantly. Brings to light some very important messages. My only criticism is Bahni's performance, most of the time she is very good but I feel she transitions between characters too swiftly and it can be confusing sometimes. My least favorite book by this author. The story starts out at 5pm at a Clinic in Jackson Mississippi, a gunman has opened fire inside the Abortion Clinic locally known as “The Center” the story then takes us backwards to the start of the day, and we find out why the characters are there. Hugh McElroy is a hostage negotiator, at 5pm he gets called to the scene and immediately gets all of the details he can, and starts to communicate with the gunman, at the same time his phone starts to vibrate, when he looks at the text he has just received, he is horrified to find out that his daughter Wren and his sister Bex are inside the clinic! The Center is somewhere women can go to get Contraception, Gynaecological examinations, General Women’s Health check-ups, and Abortions. There are always Anti-Abortion protesters outside of The Center, trying to grab the women before they make it into the front door, they are handing out “gift bags” and trying to guilt them into changing their minds. The Gunman is called George, and he is angry because he has found out that his daughter had an abortion at this clinic recently, not only does he shoot the doctor that performs the abortions, he shoots others as well, and Hugh’s daughter Wren might be one of them! Tangled in this story is another, this story is about Beth, she took the difficult decision to terminate her own pregnancy, and now because of the Mississippi Abortion Law, she is facing murder charges, and could go to prison for 20 years if she is found guilty. This story doesn’t try and sway you either way in your beliefs, and it doesn’t feel preachy at all, but I do like the way that Picoult tries to make you see both sides of the Pro-Life / Pro-Choice argument. Regardless of your beliefs I think this is a great book to have for a Book club and I thoroughly enjoyed it. 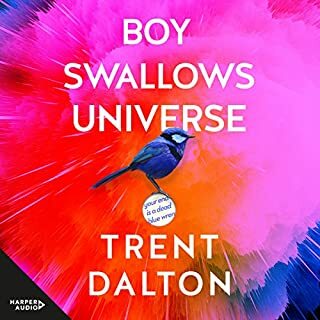 🎧🎧 – Narrated by the amazing Bahni Turpin. This was my main reason for picking up this book, she could literally narrate a recipe for a fruit cake and I would be there One Clicking like a lunatic! The woman can do no wrong in my eyes and makes any book into a fantastic read. This is certainly one to pop into your basket. The moral dilemma was a good and topical one but I hated the way it started at the end and worked it's way backwards. Whilst this was an interesting literary technique I'd advise against doing it again! The swearing throughout was so unnecessary. I gave up half way through as the story line became so far fetched. As this story is told in differing perspectives I feel that more attention could have been paid to ensuring that it was clear when the perspectives changed. 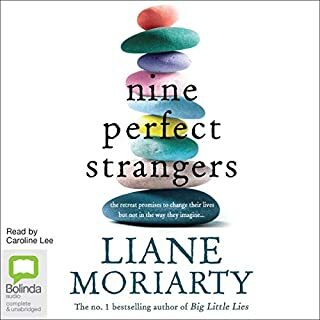 I felt that the narration seemed to rush from one paragraph to the next and, combined with often-repeated descriptions of other characters, I found it quite hard to track who’s perspective was being followed. 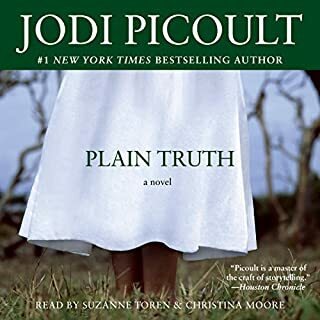 I am no veteran of Jodi Picoult’s writing, but have read a couple of other books by the author and I have to admit I enjoyed this one the least so far. I felt that the backwards timeline of the book added very little to the story, and ultimately felt like an unnecessary gimmick. 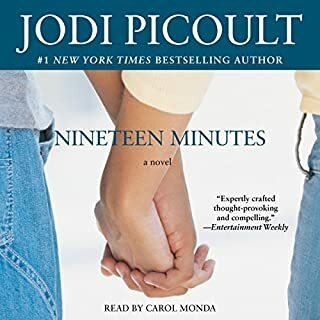 The subject matter was interesting, and I was impressed by Picoult’s ability to sympathetically write from extremely different perspectives on the abortion debate in the USA. another absolute smash! jp really gets to the crux of an argument and loves playing devil's advocate. I have never been seen angry reading a book I loved. The way America treats women is appalling. I can't believe we're still having this conversation in 2019 and being led not by science but by religious fanatics and science deniers. Read this book, you'll love it and it will stir up a lot of feeling! The narrator is awesome too, she really brings the characters to life. not the best, but good. I struggled to keep up with the back and forth nature of the story telling. 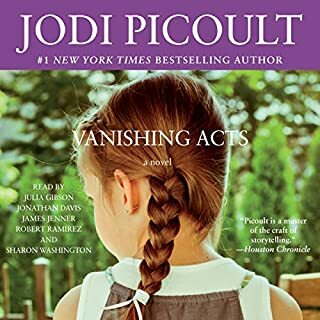 The story line though was very interesting and made me think, which is what all of Jodie Picoults books have made me do. For me though, it's not my favourite. 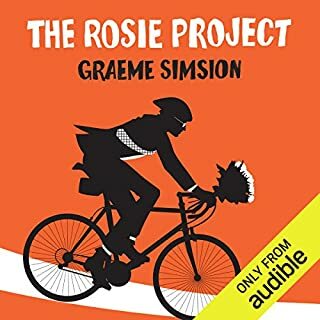 I normally love Picoults books, this is the first one I’ve listened to on audio and I found myself repeatedly getting lost. In the hard copy a time is given before each chapter for context but these aren’t spoken in the audio book. I found it took me a little bit to try and figure out where I was in the storyline at the start of each chapter which was distracting. If this was provided I would have given more stars. I really enjoyed the story, it was well written and kept me guessing, some elements were a little predictable but others took me aback when revealed. The narration however wasn’t great. While each individual part was read well it jumped perspectives without any kind of indicator which got very confusing and made the story hard to follow at times. I found this book incredibly drawn out and boring. I made myself listen till the end in the hope that it all came together... but I don’t think it did.